In this beer blog, we are going to get into the first beer from Fulton Street beer series from Goose Island Brewery for this year. This is the first of four in the series that are in package. There are four beers on the package and draft. If you read my earlier beer blog posts on their beers, you know the history of this Midwest craft brewery. 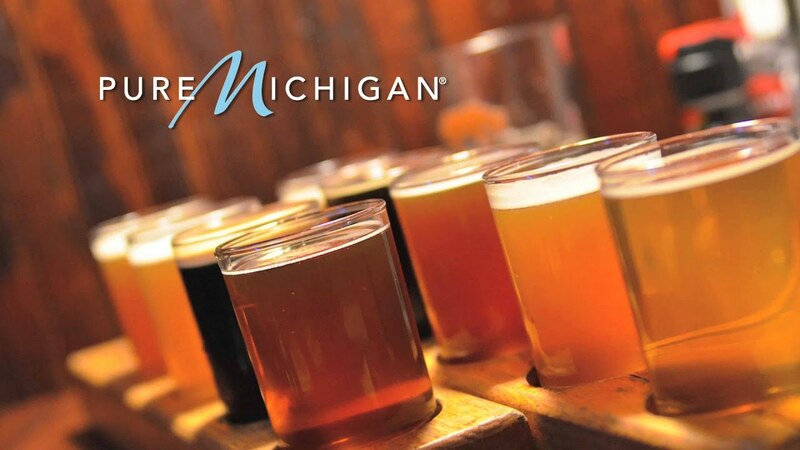 If you have not, please, read them to get to know this craft brewery. Let us get into this Dark Rye Bock beer. It has a cloudy light brownish copper color with a white constant head. The aroma has a sweet malty with a heavy banana notes. The taste has a heavy banana notes with a sweet malty to rye notes. The aftertaste has a dry finish. It is pretty drinkable beer. There was particular attention to the malt bill using pale munich, wheat and rye. There was no fruit harmed in the making of this beer, however you can’t avoid the beautiful banana esters and clove phenals that the Weihenstephan weizen yeast expresses. 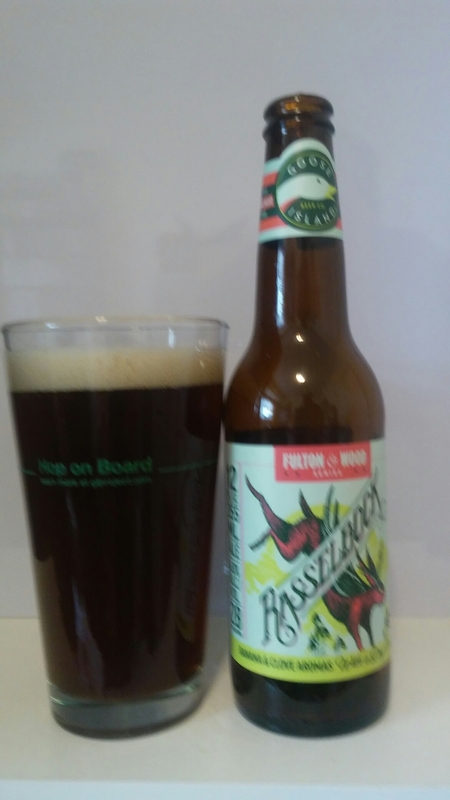 Rasselbock is a German style Dark, Rye, Wheat beer. 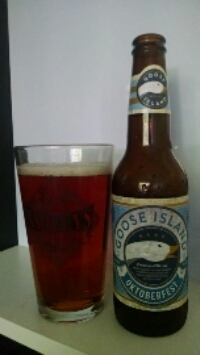 In this beer blog, we are going sample another beer from Goose Island Brewery. It was a special release from Fulton Woods series. It is their Fulton Street Coffee Blend Golden Ale. If you read my earlier beer blog posts on their beers, you know the history of this Midwest craft brewery. 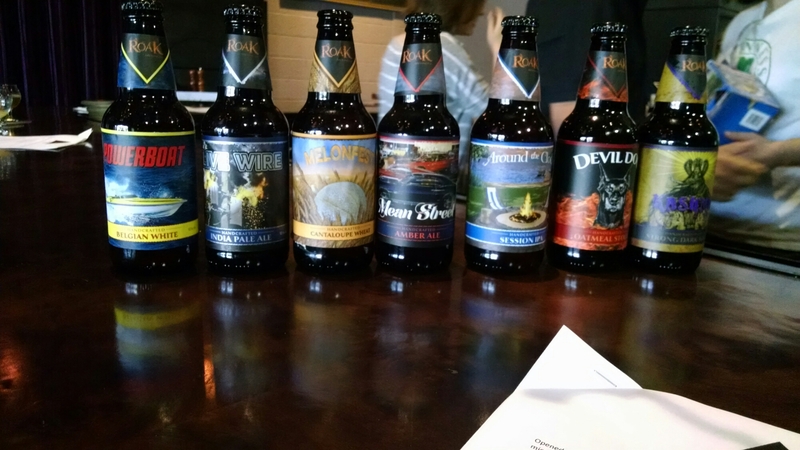 If you have not, please, read them to get to know this Illinois craft brewery. Let us get into this Golden Ale. It has a clear golden color with a semi on constant white head. The aroma has a heavy nice coffee notes. The taste has a smooth balance coffee notes with wet coffee bean aftertaste. It is pretty drinkable beer. 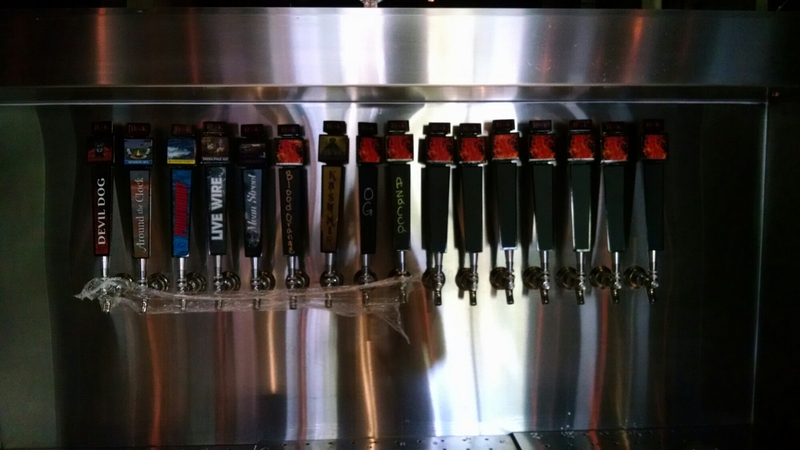 In this special beer blog, I had a chance to get by Roak Brewing a few days after their grand opening. They opened just this year but they were founded it in 2014. Let us talk about the beer. Their goal was to do something different in every beer that they make. If it is higher alcohol level on their Devil Dog Oatmeal Stout, it is same price as rest of their beers in draft to package. It is a huge value. Mean Streets Amber Ale is a hoppy amber ale. They also have a American IPA and session IPA along with Belgian style white ale and Belgian style Dark ale in package and draft. 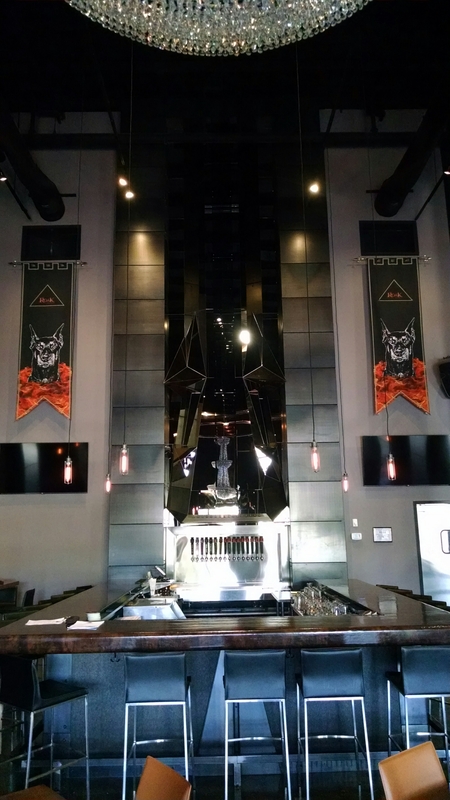 They will have brewpub only beers in the near future. 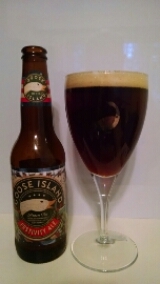 In this winter beer blog, we are going to get into the latest version of Goose Island Christmas Ale. This year the brewery has rename the brew to Festivity Ale. They felt calling it Christmas Ale that after the holiday, people stop drinking and buying it. They are correct. If you read my earlier beer blog posts on their beers, you know the history of this Midwest craft brewery. If you have not, please, read them to get to know Goose Island Brewery. Let us get into this winter ale. This brown ale has a nice bronze to brown color with an off white to light tan color head. The smell has a caramel with a slight floral notes. The taste has a creamy caramel with a dry nutty aftertaste. It is a nice sipping beer. Caramel and dark fruit malt flavors swirl inside a creamy toasty brown ale. Every year we brew a brown ale to celebrate the holidays. To make each year’s special, we alter the recipe. This year we wrapped caramel and dark fruit malt flavors inside a creamy toasty brown ale. May your holidays be filled with Festivity. 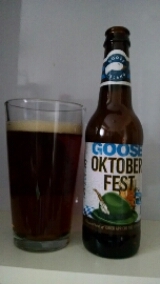 In this fall beer blog, we are going to get into the 2014 version of Goose Island Oktoberfest. If you read my earlier beer blog posts on this Midwest craft brewery, you know the history of this 1980’s craft brewery. If you have not, please, read them to get to know this Chicago Orignal craft brewery. Let us get into this fall beer. 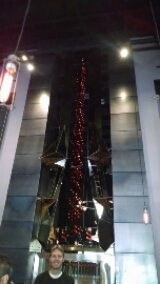 It has a dark clear copper color without a head. The aroma has a slight sweet malty notes. The taste has a sweet malty to slight but faded caramel notes. The aftertaste has a dry malty finish. It is pretty drinkable beer. 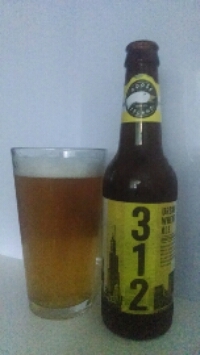 In this beer blog, we are going to get into the flagship beer, which is 312 Urban Wheat Ale, from Goose Island Brewery. If you read my earlier beer blog posts on their beers, you know the history of this Midwest craft brewery. 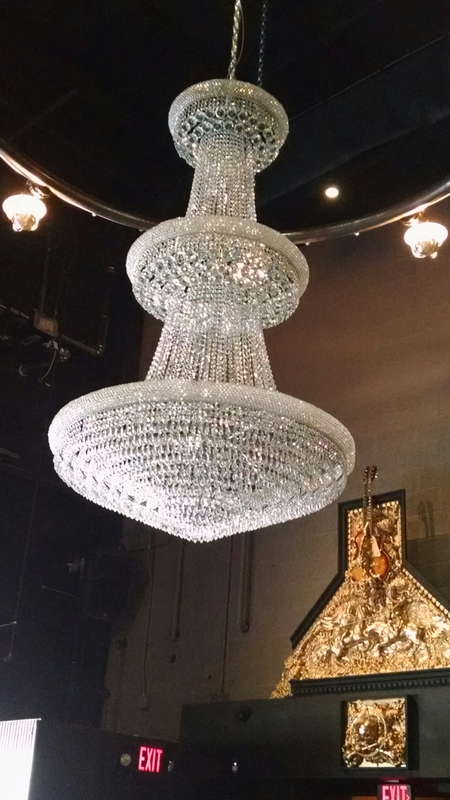 If you have not, please, read those beer blog posts to get to know Goose Island Brewery. Let us get into this wheat ale. It has a slightly cloudy straw to golden color with a snow white constant head. The smell has a refreshing lemon notes along with yeast to wheat notes. The taste has a wheat to slight lemon notes with a nice refreshing aftertaste finish. It is extremely drinkable beer.